Volunteer Chile‘s striking natural wonders, its rich cultural history, friendly people and stable government make it an ideal place to visit and volunteer! Although Chile boasts one of the most stable economies in South America, Chile suffers from one of the most uneven distributions of wealth in the world. There are estimates that almost 60% of Chileans live near or below poverty levels, with almost 3 million living in extreme poverty. ABV Volunteer project focus on supporting the children of Chile, at a large orphanage and in several schools in La Serena. La Serena is Chile’s second-oldest town and maintains its Spanish neo-colonial style seen throughout the neighborhoods and downtown. The city is dotted with beautiful green gardens, 30 churches, a romantic avenue of replica classical Italian statues and elegant colonial buildings. 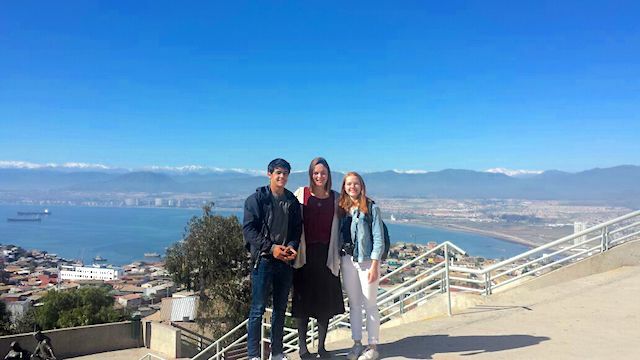 Volunteer Chile: I absolutely loved my experience in La Serena as a whole and working at the Colegio (school). I experienced many different areas of the culture traveling all over the area with other ABV volunteers and friends that I made at the school. It was an incredible opportunity, I learned so much from. A Broader View was great, I will defiantly use them for any future trips.